Branding Strategist and Keynote Speaker Loren Weisman Blog Index. The index of the blog supplements for the first 80 Wait What Really OK Podcast episodes. This ties into the idea of tracking and maintaining an index of your content to allow you to reuse, recycle and reconnect things from the past that are trending in the present. Branding Strategist and Keynote Speaker Loren Weisman Blog Index – First 40. 1. How do you act when the ship is going down? Sink or swim attitudes. 2. Connections and likes do not always equal conversions or sales. 3. How to promote music or musicians when you have a podcast. 4. Have you ever sent an email to a company to highlight an employee? 5. Do I need an NDA and Confidentiality Agreement? Do they need one? 6. Call to action and sales pitch come second. Share content first. 7. Online marketing tip. Create more content, more often for more results. 8. What are the six logo formats to apply to your brand? 9. Planning for a firing, or someone quitting, retiring or dying. 10. How much am I worth to my business? What should I pay myself? 11. Management and Marketing Podcast Blog Supplement for WWROK Ep11. 12. How do you create an effective editorial calendar? 3 simple tips. 13. Can you hear a different opinion? Do you respect differing views? 14. Why should you market more when your business is doing great? 15. Best Resume Building Tips. Are you getting experience? 16. Outlining the responsibility and liability issues of your website. 17. How do you give people options with your bio and intro? Bio Formats. 18. How to be invited back as a radio or podcast guest more often. 19. Personal branding quotes from Keynote Speaker Loren Weisman. 20. Five best tips for being productive with your marketing content. 21. Digital endurance content marketing method for podcasts explained. 24. How do you take a stand if you’re afraid how it will sit? 25. Interview Information and Questions Sheet for Loren Weisman. 26. How do you market a podcast? A Digital Endurance proof of concept. 27. Loren Weisman Quotes for Entrepreneurs and Dreamers. 28. How do you double check references and referrals the right way? 29. Mass emails with recycled content. Why they don’t help or work. 31. Using Flat Stanley as a marketing tool for you or your product. 32. Brand Precision Marketing with Branding Strategist Loren Weisman. 33. Weis Words Quotes from Keynote speaker and strategist Loren Weisman. 34. Vero Beach Personal Trainers at Ocean Drive Elite Physiques. 35. Do you want to be right or do you want to do the right thing? 36. Creating a Baby Boomer budget for your passions and hobbies. 38. 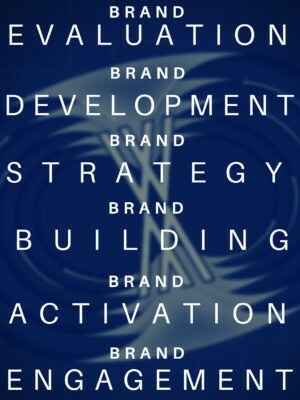 Keynote Speaker Quotes and Weis Words from a Branding Strategist. 39. Granny PottyMouth. Common-sense advice with a bit of an edge. 40. Inspiring Engagement – From your employees, customers, and fans. Branding Strategist and Keynote Speaker Loren Weisman Blog Index – Second Forty. 41. Limit your liability online and explain your terms clearly to everybody. 42. Why posting the same content is only hurting you online and on social media. 43. You are going to fail! Failure and Lions and Tigers and Bears, Oh My! 44. A story available across five different media options with Minter Dial. 45. Personal Branding Podcast. Wait What Really OK Podcast first 40. 46. How thinking like an investor can help find money for your projects. 47. Photo Conversions – Every Picture Tells A Story. Are yours converting? 48. Referring Others – Representing yourself well in Reference checks. 49. How to make your Laptop a Marketing Tool and a conversation starter. 50. How not to be heard! Saying the same exact thing as everyone else. 51. Do what you love and stop worrying about those that hate what you do! 52. Respecting the rules in a Business Networking Group setting. 53. Do you really want to say that? Sure you want to post that? Are you sure? 54. Inner Peace Outer Abundance Foreword Sample from Loren Weisman. 55. Network Marketing is not a scam. But it is not for the lazy or complacent. 56. Words to kill from your book or marketing or in alphabetical order. 58. Is your message still coming through when others share it? 59. Why should you spend money with me in June? My $333.33 3rd Q Pack. 60. Why do I need an editorial calendar? Best content pushing practices. 61. How do you create a solid pitch? Throw a variety of changing pitches. 62. How do you play a friendly game of tag that is professional? 63. Do I need to put prices on my website? Here is why I don’t. 64. Free Business Marketing and Money Management Seminar on July 29th. 65. Maximize your Strategic Content to minimize the spend on advertising it. 66. What should I look for in an editor? Who is the voice of your book? 67. How do you handle a coward that is afraid to communicate? 68. How do I get my quotes to show up in searches on Google and Yahoo? 69. Branding Strategist Quotes and Tips from Loren Weisman. 70. Psychological Branding Speaker and Strategist? What? 71. Authoring the brand of your book talk title description from Loren Weisman. 72. Branding Your Videos And Your Video Channel Talk Title Description. 73. Creating Content to Engage your three Audiences Talk Title. 74. Brand Penetration for Real Estate Agents Large and Small. 75. I do not want your vote, like or comment. No number games with me. 76. Guilt and pressure marketing do not belong in donation requests. 77. Vetting the marketing fools and advertising scams for your business. 78. Conducting Business at a Pub. The Sean Ryan Pub Speaker Series. 79. Outlining and Organizing the Order and Output of Marketing Content. 80. Wait What Really OK Podcast Episode List. The first 80 Episodes. 81. Branding Strategist and Keynote Speaker Loren Weisman Blog Index. The podcast video supplement for Wait What Really OK Podcast episode 81 is titled: Why do I need graphic covers for my videos? Besides looking nice. Sharing other businesses links. The Podcast Link Supplement Index.